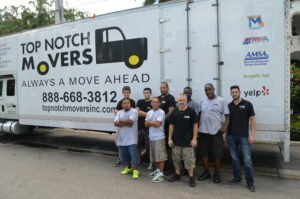 Nobody understands the very mobile folks of Weston better than Top Notch Movers, We have provided them with highly innovative and professional services throughout the years. As the real estate boom slowly creeps into the scenic communities that surround this quaint city, more and more people will be in need of reliable and dependable moving services. In recent years, the economic development in this part of Florida has seen a boom in the real estate business especially in the cities and towns lining the Atlantic coast. Vacation homes and state-of-the-art high-rise apartment complexes continue to rise in counties of Miami, Palm Beach, Martin, and Broward, to which Weston is a city. The blue waters of the Atlantic together with sun-drenched beaches have all been a magnet for people from all walks of life. Because of the many opportunities – both for leisure and employment – in these areas, people from all over the country have been moving and relocating to this sunny part of the country. And this is something that our professional Weston, FL movers truly understand. Our Weston, Florida moving and relocation company boasts of a different approach to our services. Brandishing the same high level of professionalism, commitment to excellence, and dedication to customers as other professional movers all around the country, our top reviewed Weston Florida moving company prides itself on having a highly personalized touch to our services. Because Weston is not really a metropolitan area unlike Fort Lauderdale or Miami, everyone tends to know each other. This familiarity with almost everyone in the neighborhood suggests that the moving and relocation companies in this South Florida city have a more personal business-like relationship with their customers. This requires them to be even more friendly, courteous, and respectful of their clients. Moving Weston families from their local homes to new residences such as those located in other cities across South Florida, or even sometimes to anywhere else around the country, will require the professional movers to adequately plan for their trip. This includes the thoughtful organization and careful packaging of the items that need to be moved. They know all too well that they are effectively handling pieces of priceless memorabilia that are indeed invaluable to these Weston families. Our top Weston Florida moving and relocation company is staffed with local residents that have been fully trained to provide only the highest level of customer service. They are taught to value the belongings of their customers as if they were their own. By having an attitude of ‘ownership’, albeit temporary, on the items being transported, our professional movers are able to handle these objects with utmost care. Senior citizens who may need to relocate to nursing homes, as well as other care establishments for the elderly, are also given a highly specialized and individually-tailored relocation service to make the transition into nursing home life a lot easier to bear. With families always on the go and are kept busy by the many opportunities this side of Florida has to offer, the elderly members of their household are deemed better cared for when relocated to a credible nursing home. So, whether it is moving to a new mansion, to a new penthouse, or a condominium, or an apartment, customers and their families are bound to get only the best kind of moving and relocation services from only Weston Florida’s best, Top Notch Movers. One of the more sensitive aspects of moving and relocation is the handling of relatively expensive and truly one-of-a-kind objects. Oil paintings, abstractions, and contemporary art as well as magnificent sculptures can cost millions. Antique furniture such as those from the Victorian and Georgian eras will require special storage and handling. Grand pianos and other luxury items such as chandeliers, miniature obelisks, and weight-driven pendulum Grandfather clocks will all require a very special art of handling. No matter how delicate and fragile the item to be transported and relocated is, our top Weston Florida movers have all the right tools at the disposal of their fully-trained and very cautious professional movers. They know all too well that these valuables are irreplaceable. They can be fixed if broken but the value is just not the same anymore. Appreciating the importance of moving and relocating these items in one piece is one of the utmost concerns of Weston’s best moving company. Our class leading moving and relocation company in Weston Florida always strive to make our services better by listening to customer feedback as well as suggestions from loyal patrons. All members of the moving workforce are trained and fully certified to assure their clients that their belongings are in good reliable and dependable hands. These same personnel undergo regular training to improve their customer interaction skills as well as imbibe in them the value of doing more or going the extra mile for their customers. 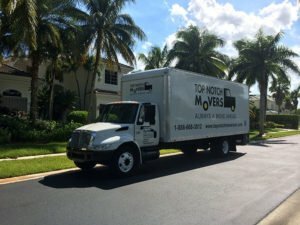 With products and services that can include cross-country or long distance moving and relocation services, moving and relocation companies in Weston have partnered with some of the countries leading shipping companies to facilitate the need of families and businesses to move items and belongings cross country. This is made all the more possible by the expertise of company professionals who have been trained to deal with such requirements. We provide last-minute moving services for those of you that need to move right away. Our representatives will make the necessary arrangements for packing, storage, and handling of your belongings and other personal items. Flexibility is something that professional Weston movers live by heart because they know that they would require the same if they were the customer in need. With the ongoing bustling economic activities in South Florida, people will always find a way to move. Be it families, individuals, or entire businesses, moving and relocating will always require the expertise and unparalleled family-oriented values of our world class Weston Florida moving company. Top Notch Movers is a professional and experienced moving company, and we have your back. As Weston movers, we love offering our clients exceptional customer service that is unparalleled by other moving companies. Our ultimate goal is customer satisfaction and if you are not satisfied, neither are we. Call us today for a free estimate and quote! This guys we’re here yesterday. In the beginning, I was super suspicious about moving companies, I thought that they all about scams. But then, I spoke with the owner, he was super nice, make me feel comfortable and didn’t charge me one dollar more than what we close over the phone.